Flashing back to our weekend road trip from Sacramento to San Francisco last month, when La Mesa RV gave us the keys to one huge Winnebago for the weekend to explore a new (to us) route. I have such fond childhood memories RVing with my grandparents up and down the California coast (they took my sister and I to Pismo Beach every summer). It had been a while though since I had been with them and back in an RV, so when La Mesa offered us the keys to one of their RV’s for the weekend we were excited for an adventure. 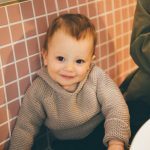 We weren’t quite sure what to expect with a toddler but it turns out it was such a fun way to travel as a family and the route we took for the weekend was pretty epic. Here’s our route (and more on the La Mesa blog as well as a fun video that they created of our family weekend adventure)! Our journey started with a coffee run at The Mill (one of my local faves) and picking up fresh produce at the Midtown Farmers market to bring along for fresh snacks and a campfire cookout, before hitting the road. After loading up on veggies, fruit, baked goods, artisan cheeses and meat for grilling we were off for our first destination: Muir Woods. 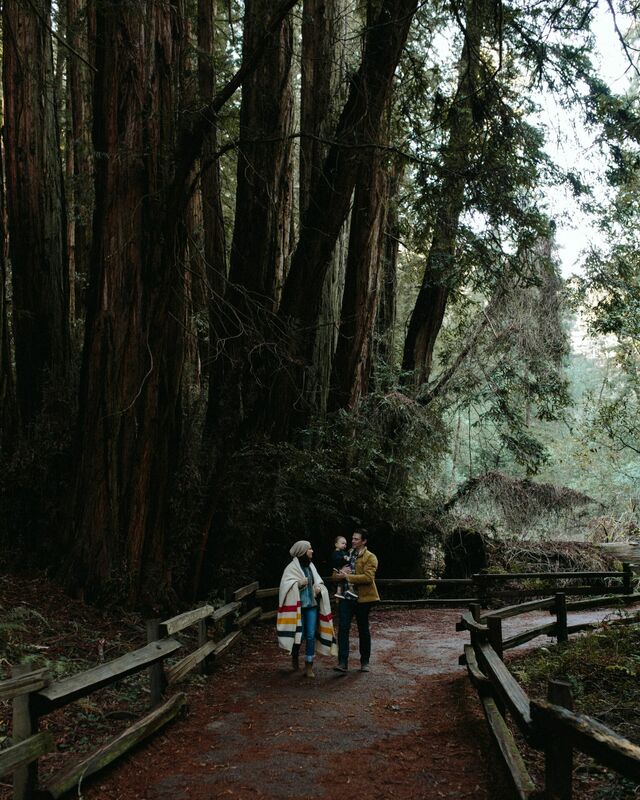 About 1.5 hours from Sacramento sits the stunning Muir Woods National Monument. Part of California’s Golden Gate National Recreation Area, it’s known for its towering old-growth redwoods. If you’ve never been to Muir Woods it’s one of those magical forests that just makes you feel so small in the grand scheme of things. So awe-inspiring! Rex kept oohing and ahhing which was really cute so we definitely need to take him back there again soon. Back in the RV we put together the ultimate charcuterie board for our afternoon snacking as we passed by the Golden Gate Bridge. From Muir Woods drive 14 miles on 101-S and take exit 439 toward 25th Ave. Turn left on Lincoln Blvd and in 250 feet another left on US-101 N. Go two miles and exit toward Vista Point and you’re there! The view does not disappoint… even as a local it just never gets old. If you’re in SF starting March 11th, be sure to stay at Kirby Cove Campground. We missed the opening season by two months so we headed to Olema Campground. The 30 mile (about 50 minutes) drive to Olema is delightfully scenic with rolling hills and wildlife. Head southeast and merge onto Us-101 N. Drive 8 miles and take exit 450B towards San Anselmo. Follow signs for San Anselmo for 21 miles, then turn right onto CA-1N. Take a quick left onto Olema Campground Rd. This campsite is the ideal spot for star gazing. After a great night’s sleep campfire eggs with grilled tortillas sure hit the spot before packing up and getting back on the road. I had never been or even heard of the Cypress Tree Tunnel before this trip but it’s worth the stop! Try to come at sunset (or sunrise to beat the crowds) – the light illuminates through the tunnel of Cypress trees giving everything a beautiful glow. My no-fuss road trip weekend style consisted of denim, warm Patagonia fleece layers from Backcountry, slouchy beanies, oversized sweatshirts, boots and no makeup. Matching Patagonia’s for the whole fam. I mean, baby Patagonia–does it get any cuter? From Cypress Tree Tunnel drive 10 minutes and you’ll find yourself at Tomales Bay. Tomales Bay and Inverness is one of my favorite areas. It’s overcast, sleepy, and just a gorgeous spot to retreat to. Before heading back home we stopped at Point Reyes Station for lunch–such a gem! Cute shops, eateries, Cowgirl Creamery (! ), and more. After a late lunch at Side Street Kitchen we got back on the road and made it home before dusk. Thank you to La Mesa RV for such a fun weekend!